We recently wrote a post about why we think you should give Facebook ads a try. 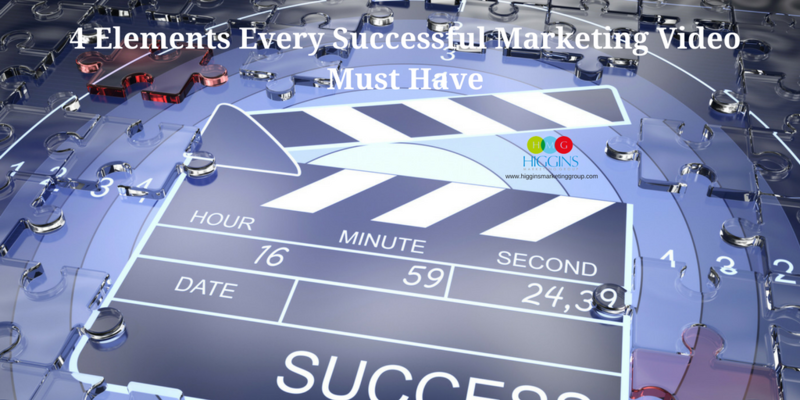 Facebook can be a great way to reach your target audience and get your message out there. And with you controlling the spend, Facebook can be pretty easy on the budget, too. That being said, if you don’t know what you’re doing it’s also pretty easy to waste money. Are you just getting started with Facebook ads? Need a few tips? 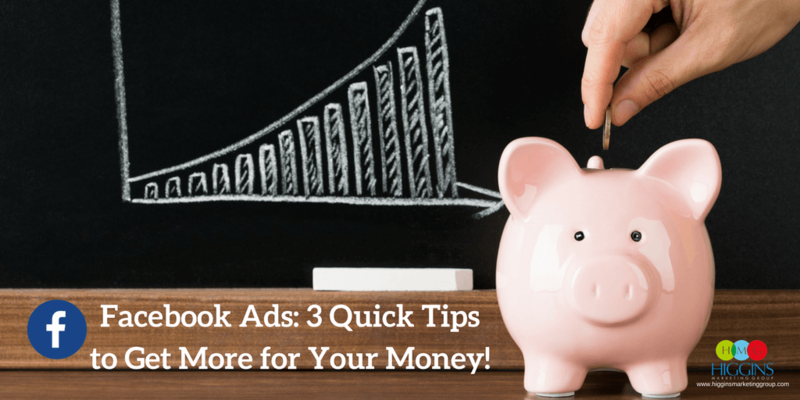 We’ve got three that are easy to do and will help you get the most out of your ad budget. If you’ve followed our blog for very long, you’ve heard us say it — if you’re not measuring the results of your marketing efforts, there’s really no point in playing the marketing game at all. You need hard data so that you know what’s working, what’s not, and tweak accordingly. Facebook’s conversion pixel will let you do this. All you have to do is insert a few lines of code into your website and voila! Now you can track the cost per acquisition and collect awesome data about your target audience. Did you know visitors who see a retargeting ad are 70% more likely to convert than those who don’t? Add to it the fact that the average consumer visits a website between two and four times before making a purchase, and you can see why retargeting is such a big deal. By using custom audiences in Facebook, you can actually retarget consumers who have recently paid a visit to your website. This will keep YOUR business top of mind and makes the path to conversion (e.g., an online sale, a call-in, signing up for a free trial) must faster. There’s no point in running an ad at 2 o’clock in the morning on a Wednesday if your target consumers are asleep. So how do you know when they’re online? Head over to the Ads Manager, select “breakdown” and then “by time.” From there you can segment your traffic by day, week or even monthly periods. If your data is telling you that your ads are performing well on Thursday afternoons, you can tell Facebook to serve your ads from noon to 2 p.m. on Thursdays. You’ll have to set a lifetime budget for your ad to get these advanced options, but that’s a small adjustment to make for better control over your ads. 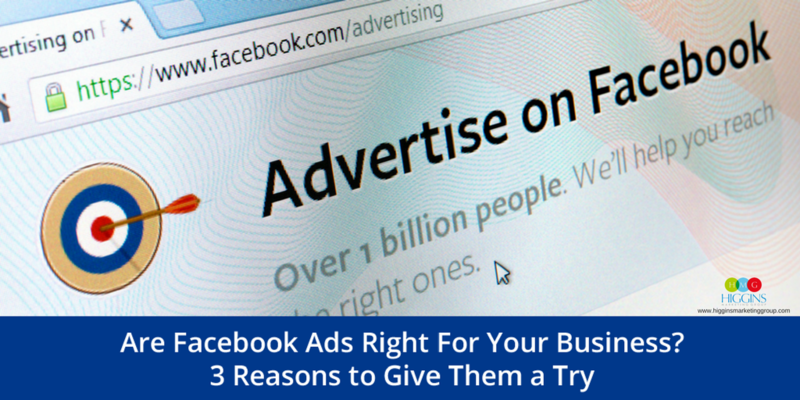 Want to take a deeper dive into Facebook ads for your business? The ad specialists at Higgins Marketing Group are experts at setting goals, creating ad copy that converts, and optimizing campaigns to ensure the best results. 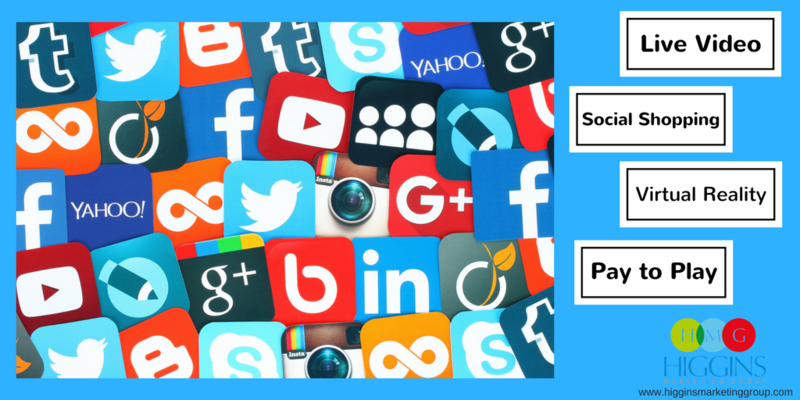 Contact us today to get started on your Facebook ad strategy!